Looking for a property in Godhani? Have a property in Godhani? Godhani is a nearest gram panchayat of Nagpur city. It is developed in all ways. It is well connected by all means. lt is just 10 km from Nagpur main railway station. It is well developed and calm area. Godhani is a very well developing area at Nagpur. 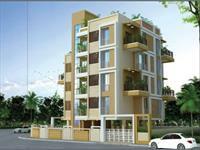 It is within the vicinity of Nagpur city. It is well connected to the prime locations nearer to the beautiful Gorewada Lake where proposed Maharajbagh zoo is planned to be shifted in the coming years. It is also on the way to the famous Koradi Temple and the Koradi Thermal Power Station situated about 7 Km from Godhani Road. Upcoming affordable locality with schools and colleges, hospitals, marketplace within your reach. Easy access to buses, as well as other day to day facilities. Godhani, Nagpur is rated 8 out of 10 based on 2 user reviews. Have a good knowledge of Godhani? Share it and become a Locality expert.